In a kadai put a teaspoon of oil and add sago. Fry till it pops up. Remove and add it to a cup of warm water and keep aside for atleast half-an-hour. Chop green chillies, coriander and curry leaves. 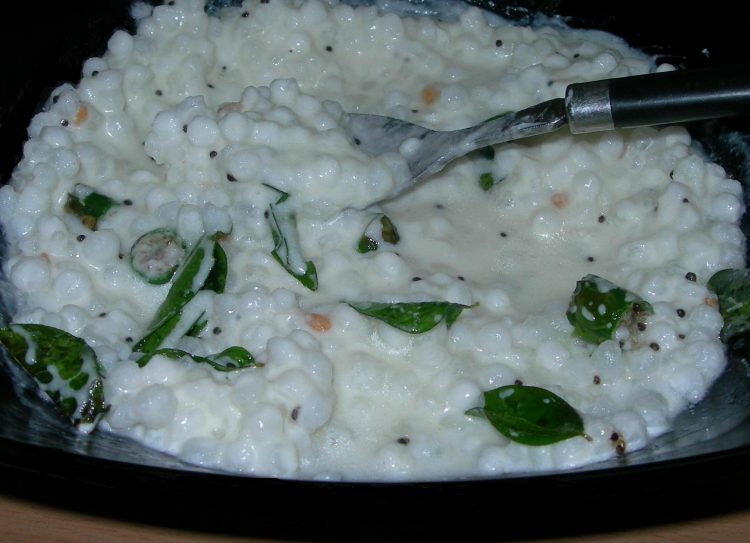 Beat curd well and add soaked sago along with salt. In a small kadai put remaining one teaspoon oil and add mustard. When it pops up add chopped green chillies, coriander and curry leaves. Stir well and add it to the curd. Goes well with any pulav. Can I make this one day ahead for a party? Yes. You can make, but ensure to properly cover and refrigerate.